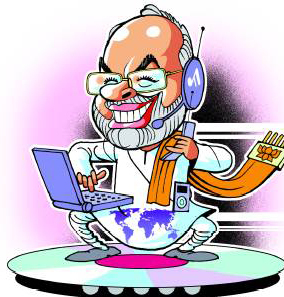 eNLokam: Gujarat ready for online voting!!! Gujarat is once again creating news, not at all negative this time. In November this year, when Gujarat holds municipal polls, the country will have its first initiative with online voting. So the State Election Commission is working overtime, thinking of scenarios, countering threats, both cyber and logistic, to take the first step towards the next big step. Counter-measures are being put in place against hacking, virus attacks and possible parallel websites to misguide voters. A Vadodara-based cyber security agency has been tasked with protection of the SEC website and the Gujarat State Wide Area Network (GSWAN) through which e-voting will be done. It will be the first attempt at online polling though it will involve voters in only six municipal corporation areas.